E-bike comfort doesn't have to be expensive. The Vitality Eco 2 impresses with its slim design and excellent comfort - of course made in Oldenburg. The light aluminium frame was manufactured using hydroforming and offers a high stiffness, which saves energy. The Bosch Active centre drive with a down-tube power pack (400 Wh) provides the desired support - with an extremely low total weight. The reliable and easy to operate Nexus 7-speed gear hub from Shimano shifts just as precisely in the finely coordinated gears. The e-bike has hydraulic rim brakes from Magura and an additional back pedal brake. 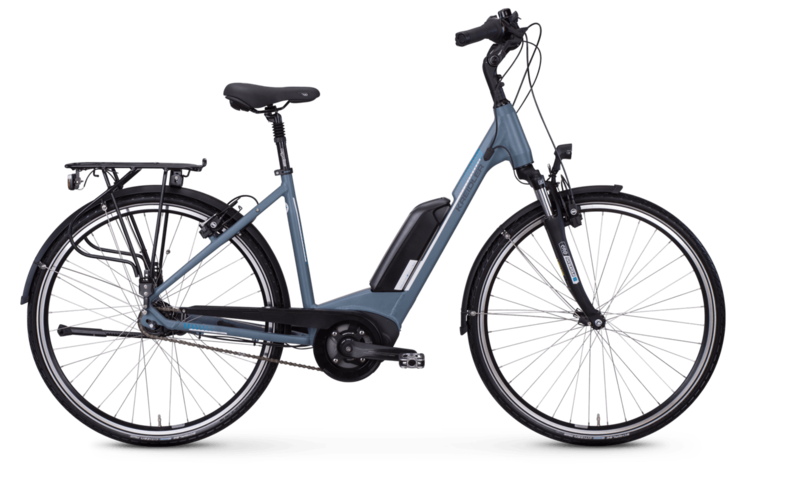 A special highlight is the ride comfort: Equipped with a Suntour suspension fork and sprung seat post, the e-bike easily absorbs smaller and larger bumps. The Schwalbe Citizen tyres offer good K-Guard puncture protection and low rolling resistance. Are you looking for further information on quality, safety & technology as well as videos and test reports on the subject of Kreidler e-bikes? Click here!